The F-35A Lightning II’s sensors, stealth, and overall capability have been defended by the government and industry, while pundits and politicians have concentrated on developmental issues, cost overruns, and maneuverability limitations. The F-35A is a generational leap beyond other multirole fighters, and thanks to concurrent development, its technology will be the freshest ever fielded. Its performance in an air-to-surface (attack) mode has been well accepted, but many have questioned the Lightning II’s performance in aerial combat. Only the pilots who have flown the fighter actually know how well the Air Force version of the F-35 can perform, and the 31 who were surveyed for this paper expressed a high degree of confidence in this extraordinary fighter. The U.S. government should fulfill the entire programmed acquisition of the F-35A on its current schedule and apply the lessons learned from its concurrent development to every other major acquisition program in the future. All three are designed for different basing environments that affect the way each variant performs in the air combat arena. This paper will explore the handling characteristics and air-to-air performance of the Air Force version of the jet, based on the opinions of 31 experienced U.S. Air Force fighter pilots currently flying the Lightning II. Their depth of experience in front-line, fourth-generation fighters, as well as with the F-35A, delivers unrivaled perspective and confidence in this extraordinary fighter. The Afghanistan government has reportedly told Pakistan that Hafiz Saeed, former Lashkar-e-Taiba (leT) chief is directing ISIS attacks in Afghanistan. This was pointed out by Afghan officials during a meeting in Kabul on July 26 that focused on security along the Af-Pak border. 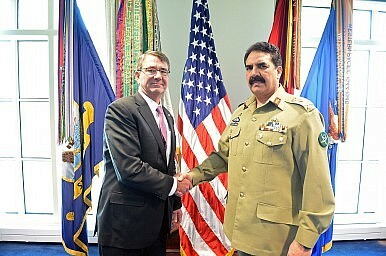 The meeting was attended by Afghanistan, Pakistan and NATO officials. Afghan officials also reportedly sought Islamabad’s cooperation in preventing ISIS terrorists from entering Afghanistan from Pakistan – a demand that Pakistan would simply put in the dustbin, as always. That the Pakistani military is actually orchestrating these attacks in conjunction Hafiz Saeed is without doubt. NATO being unaware of LeT involvement in Afghanistan is doubtful considering that the recently released UN Assistance Mission in Afghanistan (UNAMA) report confirms that majority casualties in recent times have been caused by the anti-Afghan government forces; to include Taliban as well as individuals and non-state organized armed groups taking a direct part in hostilities that includes LeT, Jaish-e- Mohammed, Haqqani Network, Hezb-e-Islami, Islamic Movement of Uzbekistan, Islamic Jihad Union, groups identified as ‘Daesh’ (IS) and other militia and armed groups. In fact, this is the first time that a UNAMA report has mentioned LeT and JeM operating in Afghanistan. The more significant part is that while the UNAMA report has not been prepared overnight, the US intelligence has remained quiet over LeT and JeM in Afghanistan, only talking about the Haqqani Network, despite both LeT and JeM being under Pakistani military-ISI tutelage and Hafiz Saeed treated as Pakistan’s state celebrity despite being the recipient of Interpol’s red corner notice twice. As the first president of Afghanistan following the toppling of the Taliban, Hamid Karzai’s legacy will always be decidedly mixed. The famously mercurial Karzai masterfully navigated the traditional tribal politics of Afghanistan, but arguably laid the groundwork for much of the corruption and weak governance that plague the Afghan government today. During his tenure, Karzai often made headlines by frequently excoriating Pakistan for harboring the Afghan Taliban and attempting to rule Kabul by proxy. When Ashraf Ghani, a former World Bank official and development specialist, came to power in 2014, he attempted to reset relations with Islamabad—even shelving a request for military assistance from India, Pakistan’s principal rival. It did not take him long to reconsider. Less than a year into his tenure, Ghani reversed course, saying he believed Pakistan was conducting “undeclared war” on Afghanistan. Following a Taliban bombing that killed more than sixty people in Kabul in April, Ghani blasted Pakistan for providing sanctuary to the group and told the Afghan parliament he would complain to the United Nations Security Council if Islamabad failed to take action. “We don’t expect Pakistan to bring the Taliban to talks, but we ask the Pakistanis to fulfill the promises they made . . . and launch operations against the people who have sanctuaries in Pakistan,” he said. Ghani’s frustration with Pakistan’s lack of action has surely been stoked by the fact that since the U.S. military drawdown at the end of 2014, the Taliban surged, now controlling more territory in the country than at any time since the 2001 invasion, and civilian casualties continue to rise at alarming rates. The United States Department of Defense has decided to effectively withhold a $300 military reimbursement tranche to Pakistan, citing Islamabad’s inadequate attention to the fight against the deadly Haqqani network. Justifying the decision to withhold reimbursement on account of the Haqqani network is a first by the United States, despite threats along the same lines last summer. Broader military reimbursements were temporarily frozen in 2011, following the bilateral fallout after the U.S. raid against Osama bin Laden’s compound in Abottabad, but resumed later that year. “The funds could not be released to the Government of Pakistan at this time because the Secretary has not yet certified that Pakistan has taken sufficient action against the Haqqani network,” Pentagon spokesman Adam Stump told reporters on Wednesday. ”This decision does not reduce the significance of the sacrifices that the Pakistani military has undertaken over the last two years,” Stump added, intending to lessen the sting of the decision to withhold reimbursement. Under the current road map for security cooperation between Washington and Islamabad, U.S. military assistance is offered as reimbursements for expenses incurred by Pakistan in its domestic fight against terror groups. The Pakistani military, starting in the summer of 2014, began Operation Zarb-e-Azb, a joint military offensive against a range of militant groups primarily in Pakistan’s border areas with Afghanistan. A photograph has emerged on Chinese online forums showing that China's land-based aircraft carrier mock-up in Wuhan, Hubei Province, is undergoing modifications. These are likely to reflect changes between China's first indigenous aircraft carrier, the Type 001A, which is currently being built at Dalian shipyard and the next one to be constructed, which is commonly referred to as the Type 002. Most significantly the ski-jump section has been removed from the mock-up, reinforcing expectations that China's third carrier will be equipped with catapults. Construction of China's third carrier is expected to take place at the Jiangnan Changxingdao shipyard near Shanghai. So far there has been no official confirmation of the programme nor visible evidence of the construction, but there has been considerable speculation that production of the initial modules is already in progress. Satellite imagery of the Huangdicun Airbase, which supports China's J-15 carrier-based aircraft, reveals that construction of the facilities assessed to be catapults commenced in 2015. This is a further indication that future Chinese carriers will have a configuration for catapult-assisted take-off but arrested recovery (CATOBAR) operations. AUSTRALIA could be about to send military assets into the South China Sea to spy on China and Russia. The Chinese and Russian navies are set to hold drills designed to strengthen co-operation between the two countries next month. They specifically said the drills were not aimed at raising tensions with any third parties. “This is a routine exercise between the two armed forces, aimed at strengthening the developing China-Russia strategic cooperative partnership,” China’s Defense Ministry spokesman Yang Yujun told a news conference last week. Fairfax Media understands Australia will be employing military personnel in the area to spy on China and Russia’s forces and collect vital information, which includes seeing how effectively they are cooperating together. This comes at a time of heightened tensions, with an international tribunal including Australia rejecting Beijing’s maritime claims just weeks ago. Just yesterday, China’s highest court implemented a worrying new rule as a warning to foreigners, saying anyone who entered contested areas of the South China Sea would be prosecuted. So is Australia playing with fire on all this? Taiwan-based China Shipbuilding Corporation (CSBC) inaugurated a new submarine development center in Kaohsiung in the southwestern part of the country to support the company’s bid for a government contract to build the Republic of China Navy’s (RoCN) new fleet of six to eight diesel-electric submarines, Formosa News reports. According to the Chairman of CSBC, Cheng Wen-lon, the company has been planning this new center for the past ten years. CSBC has produced 116 ships of various types for the RoCN and the country’s coast guard between 1975 and 2015. 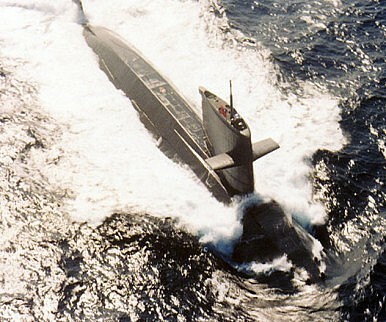 However, chairman was adamant that the company will need technical assistance from abroad to build the new subs. “The government wants to build Taiwan’s first submarine and more vessels for use by the navy and various government agencies,” the chairman said during the ceremony. “We are ready to offer our full support to the government and will seek technical assistance from abroad.” In June, Taiwan’s Ministry of National Defense announced that it will allocated NT$470 billion (US$14.84 billion) between 2018 and 2040 on 12 shipbuilding projects. In Part I, we looked at U.S. actions and strategy in the South China Sea (SCS), and how U.S. policy so far has failed to achieve its desired result. 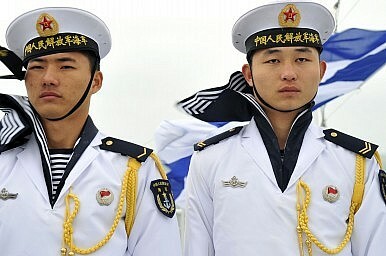 The main reason for this is that U.S. strategy is based on a misunderstanding of China’s actions and goals in the SCS. In Part II, we examine China’s stance in the SCS and its response to U.S. actions. After a series of tough approaches by the United States toward China, will China respond by further tightening control over the SCS (for example, by establishing an air defense identification zone)? By constructing massive military buildings on occupied reefs? By claiming a 200 nm exclusive economic zone (EEZ) around artificial reefs? Or by announcing that the nine-dash line is a maritime boundary and expelling the U.S. presence? It seems Washington must prevent these outcomes by all necessary means. These questions are difficult; no one can promise these things won’t happen. Since foreign policy decisions are not always made on the basis of assured information, we will seek to answer these questions according to China’s foreign policy philosophy. It remains unclear who can order airstrikes designed to defeat the Islamic State group in Sirte. 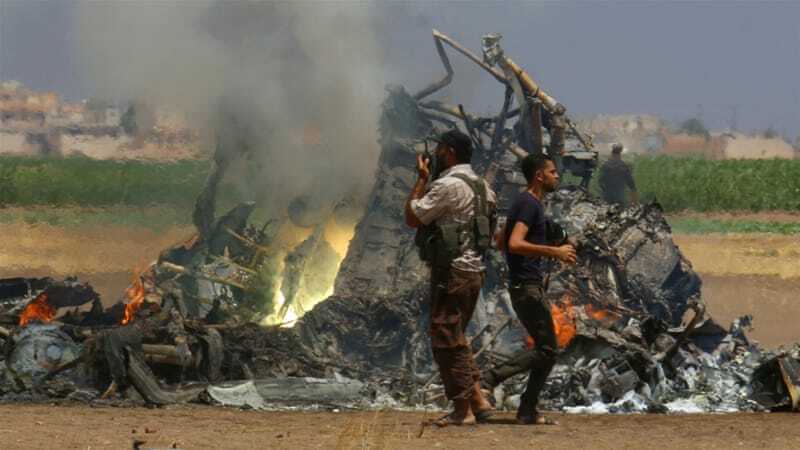 The Defense Department on Thursday offered a peek into how it sees its new war in Libya by releasing a video of one of its first strikes of Operation Odyssey Lightning, designed to defeat the Islamic State group at the port city of Sirte. Germany-based U.S. Africa Command, which is overseeing the campaign, also released some details on the eight other strikes that have taken place since it began on Monday, trying to provide some clarity into U.S. military involvement that, like corresponding operations in Iraq and Syria, will likely be defined mostly by remote airstrikes and some secretive special operations forces on the ground. The need for American involvement in Libya follows reports that as many as 8,000 Islamic State group fighters, largely foreigners, exploited widespread violence and political turmoil to establish a stronghold at Sirte following losses in Iraq and Syria. War planners now estimate their numbers there have decreased to fewer than 2,000. When, on July 14, Bastille Day, a 31-year-old man drove a rented truckthrough crowds thronging the Promenade des Anglais in Nice, killing scores and injuring hundreds, France had been in a declared state of emergencyfor eight months. This state of emergency was renewed shortly thereafter, just days before two men killed a Catholic priest in his church near Rouen. Since the Bataclan massacre by Islamic State gunmen in Paris last November, emergency laws and powers have been approved and extended three times. Last month, the French National Assembly voted to extend the state of emergency for six more months. France is reeling. Unaccustomed to such violence, its politicians proclaim the nation is “at war” with terrorists. But should an open, democratic society indefinitely grant exceptional powers to its police and security services? Earlier this year, at the invitation of French and international rights groups, I traveled to France to investigate that question. As the American representative among legal experts from different countries on this fact-finding mission, I participated in interviews with French government officials, members of Parliament, lawyers, judges, magistrates, police officials, union representatives and civil society groups, as well as individuals who had borne the brunt of emergency measures. Ourreport found that the state of emergency appears, at best, of questionable efficacy in combating terrorism. At worst, it may compound the problems France faces. The emergency law gives the government the authority to order house arrests, police raids and bans on public assemblies and nongovernmental organizations, including the closure of mosques. These measures may be meted out without warrants or other forms of judicial approval; for those affected, any recourse after the fact is often limited and inadequate. Saudi-Israeli Rendezvous: Does it indicate a Policy Change? The July 22 visit of a Saudi delegation led by retired Major General Anwar Eshki, head of the Jeddah-based Middle East Center for Strategic and Legal Studies, to Israel to meet Ambassador Dore Gold, the Director-General of the Israeli Foreign Ministry, has raised many eyebrows. This is the first time that a Saudi delegation visited Israel. Though not an official visit, Eshki’s is a highly symbolic one. Reportedly, the Saudi delegation also met Yaov Mordechai, the coordinator of Israeli government activities in the ‘occupied territories’, as well as a number of opposition Members of the Knesset including Meretz MKs Esawi Freig and Michal Rozin and Zionist Union MKs Ksenia Svetlova and Omer Bar-Lav, in order to encourage discussions in Israel on the Arab Peace Initiative. This is not the first time that Eshki and Gold were meeting. Earlier, on June 4, the two held discussions on opportunities and challenges in the Middle East at an event organised by the Council on Foreign Relations in Washington, DC. And, in June 2015, they had met in public and since then have reportedly held several private meetings. The anniversary of the nuclear agreement was just another day on the calendar, because no one believed that Iran would violate the agreement even before it had enjoyed the considerable benefits that agreement confers on Iran. The key question facing Western decisionmakers and the American administration is how to make sure that the years gained by the nuclear agreement, assuming that Iran does not violate it, will be utilized to bring about a substantial change in Iran’s policy—in the regional theater, in its support for terrorism, and in its treatment of its citizens—and restore it to a place of honor among the nations of the world. There is no doubt that the Iranian regime’s supreme goal has been, and remains, its survival and the preservation of the revolution. In this, incidentally, it does not differ from other regimes. Therefore, when the economic pressure generated by the sanctions and concern about their escalation became concrete, Iran’s Supreme Leader Ayatollah Ali Khamenei realized that push had come to shove, and he approved the opening of secret talks with the United States in Oman. Some important conclusions can be drawn from this development: The ultimate decision maker was and remains the supreme leader. He is strong enough to force acceptance of an agreement that had many opponents. And, what is particularly important, he is rational, and weighs costs against benefits. As political opponents of the Democratic presidential nominee often note, crisis has paralyzed Libya since 2011. To be sure, a power vacuum erupted after dictator Muammar el-Qaddafi’s death, opening the door to a political free-for-all, warring militias, and ISIS. Amidst the ensuing conflict, some hang their hopes on Libya’s greatest natural resource: oil. Ten years ago, over 60 percent of Libya’s GDP came from oil revenues. Today, after years of civil war and falling oil production, this number has been nearly halved. Under effective management, pumping more oil might ensure a successful democratic transition under the fledgling Government of National Accord in Tripoli. Certain realities—ranging from dilapidated oil wellheads to ISIS—undercut the prospects of such oil-fueled progress. Even without these obstacles, betting big on oil could prove disastrous. There is a road to peace in Libya, but it isn’t awash with petroleum. Libya is precariously split between several factions vying for control. The UN-backed Government of National Accord, also called the unity government, formed in early 2016 and operates from Tripoli. The GNA faces an opposition body based in Tobruk, which collaborates with General Khalifa Hifter and his Libyan National Army (LNA). A third group, located south of Sirte, includes the remnants of the General National Congress (GNC) and several Islamist groups. Other unassociated militias hold territory across the country, including ISIS. Before Qaddafi’s undoing in 2011, Libya produced over 1.6 million barrels of oil per day, which generated most government revenues. Today, the country’s output is less than a quarter of that level—the oil sector is in shambles. Egypt's military said on Thursday it had killed Abu Duaa al-Ansari, which it identified as the leader of the Sinai branch of ISIS, in a series of airstrikes near the town of Al-Arish. Egyptian military spokesman Brig. Gen. Mohammed Samir said in a Facebook post that the attack followed "accurate intelligence" the army received. The military then carried out a surgical strike in southern Al-Arish to eliminate terrorist targets, he added. He said the attack, south of Al-Arish, also killed 45 other ISIS fighters and destroyed arms and ammunition stores used by the group. There was no immediate confirmation from Sinai Province, ISIS' offshoot in Egypt's Sinai Peninsula. Have U.S. Officials Given Up on ‘Defeating’ ISIS? You don’t hear national security leaders speak of ISIS like an enemy to be beaten. They talk about the terror group like a chronic illness in the global body politic. ASPEN, Colorado — Officially, the Obama administration is still committed to defeating ISIS. But at the annual gathering of national security chiefs in Aspen, no one was talking about beating the terror army and its adherents. Instead, grim resignation and dark warnings of a long hard fight to come dominated the discussion, with every official predicting a global rise in terror attacks, including in the United States. “Do we expect more attacks? Regrettably we do, both in Europe and the U.S.,” said Rep. Adam Schiff (D-CA), ranking member on the House Intelligence Committee. While some here held out hope for a military triumph over ISIS in Iraq and Syria, they acknowledged that any such advances would represent the first stage in a years-long battle against a group that’s already spread to unstable parts of the Mideast, Africa, and Southeast Asia—and already inspired attacks from Paris to San Bernardino, Orlando toIstanbul. ISIS minister of war Abu Omar al-Shishani looks dead and gone for good, but his brother may be smarter and more dangerous. Will he step out of the shadows? TBILISI, Georgia — It’s been less than a month since news broke that the so-called minister of war of the so-called Islamic State, Tarkhan Batirashvili aka Omar al-Shishani (Omar the Chechen) had been killed… again. And this time, since weeks have passed without a resurrection, it might just be true. But that news is not quite as good as it sounds. The famous red-bearded warlord originally from the troubled Pankisi Valley on the Georgian frontier with Chechnya allegedly perished in early July while fighting on the outskirts of Mosul, Iraq. Eight times previously, he was reported killed, and eight times it turned out he was still alive, burnishing his reputation as an almost superhuman survivor. But the ninth life probably was his last. This time, ISIS’s very own “official” news agency, Amaq, bemoaned his passing as “a great loss for the caliphate.” More credible still is what we’ve heard from Pankisi, where we have interviewed Tarkhan (“Omar”) Batirashvili’s relatives, sympathizers and intelligence contacts extensively over the last two years. Russia’s new Tupolev Tu-160M2 Blackjack supersonic strategic bomber is expected to make its first flight in late 2018 and enter into full-rate production by 2021. The Tu-160M2 is a new upgraded variant of the late Soviet-era Blackjack, which was built in very small numbers before the collapse of the Soviet Union in 1991. “The first Tu-160M2 is expected to take off by the end of 2018, followed by full-scale production in 2021,” Col. Gen. Viktor Bondarev, commander of the Russian Air Force told the state-owned RIA Novosti news outlet. The new date reflects a slight shift from previous Russian government statements, which had indicated the new production Blackjack would fly in 2019 with production starting in 2023. Many analysts, expect that the new Blackjack will become the backbone of the Russianstrategic bomber force of the future assuming Moscow can find the funding for the project in the current economic climate. The Tu-160M2—though it more or less retains the same airframe—is practically a new aircraft under the hood. The new bomber will feature completely new mission systems and possibly be powered by upgraded versions of the existing Kuznetsov NK-32 afterburning turbofan. The Russians plan to buy about fifty of the new Tu-160 variant, however it is not clear if the 16 original model Tu-160 airframes will be upgraded to the new standard. GENERALLY SPEAKING: Blogs and social media were buzzing this week with a debate about whether it is appropriate for retired generals and other senior former U.S. military personnel to engage in politics – and specifically to take on a prominent role such as speaking at a party convention. The debate was sparked by a speech at the Republican convention by retired Army 3-star Mike Flynn and at the Democrat convention by retired General John Allen (backed by a multi-cultural tableau of former servicemen all in mufti). Some argue that retired officers have the same first amendment rights as the rest of us, and who better to talk about military matters than those who have worn the uniform? Taking the opposite view was former Chairman of the Joint Chiefs Marty Dempsey who wrote a letter to the editor of the Washington Post saying it was a mistake for Flynn and Allen to participate and to be introduced using their titles of “general.” In making his argument – we noted that Dempsey signed his letter to the Post with HIS title...General. LESS ASPEN: The just-completed 7th Annual Aspen Security Forum seemed to make fewer headlines this year than in times past – probably because it overlapped with the Democratic National Convention. But, if you were paying attention, there were some high points in 2016. The 3+-day event features remarks and panels from high-level current and former national security officials, industry leaders, and top print and broadcast journalists. Included this year were sessions with Homeland Security Secretary Jeh Johnson, DNI Jim Clapper, CIA Director John Brennan, top military leaders, and the usual assortment of policy wonks. The event ended with remarks from Lisa Monaco, Assistant to the President for Homeland Security and Counterterrorism. Clapper urged less “hyperventilation” over reports (which he called a “serious proposition”) that the Russians are messing with the U.S. electoral process – ie: the hack of the DNC computers—an admonishment sure to go unheeded. Brennan made what organizers called a “rare public address.” Seems to us rarely a week goes by when he is not out in public these days, and we applaud his openness. He talked about how CIA is working to provide undercover officers with online cover stories so they are not unmasked by an ill-fitting or absent social media presence. A couple top DOD officials canceled at the last minute--- were the impending U.S. airstrikes on Libya the reason? No one would say. Never before in the history of conflicts we had so much information as to what is happening, yet know so little. After five years of brutal conflict in which half the population has been forced from their homes, there is still no end in sight to the war in Syria. One of the reasons behind this longevity is that Syria has become a post-factual conflict and it is that dynamic that fundamentally undermines any political solution. So what does it mean to be a post-factual conflict? Robots designed for chemical warfare defense are soon be integrated into Russia’s military, the Interfax news agency reported Thursday. “Onland robotic systems for chemical warfare defense are currently being developed, with work scheduled to be completed next year,” said Lieutenant General Eduard Cherkasov, head of radiation, chemical and biological defense in Russia’s Armed Forces. “It is impossible to rule out that the robot detachments will not be directly used to carry out certain military tasks like manufacturing and chemical warfare intelligence gathering,” he said. Cherkasov did not comment on whether the robot systems would include pilot-less drones. Drones are currently used in disaster relief operations and in areas which carry a high risk of infection. Whatever you think about British politics now, or the desirability of the United Kingdom’s exit from the European Union, Prime Minister Theresa May has been decisive since taking office. While she has asserted – rightly – that Brexit can only take place once the four parts of the United Kingdom are content with the overall strategy, she has also stated, firmly, that “Brexit means Brexit,” adding, importantly, that: “we are going to make a success of it.” This approach, which feels as decidedly British, in its willingness to balance competing interests and its dogged optimism, is the right way to bring Britons round from the garishness of the referendum debate – hardly the United Kingdom’s finest hour – with its lies-as-truth, untruths-as-realities, and facts-to-cover-uncertainties from both sides. Short of the success of the upcoming legal challenges, or some unforeseeable political developments, Brexit is almost certain to happen. As when waking from a disturbing dream, it is best to start with a quick reality check: Let’s separate desires from the empirical facts. The shape-shifting beast – that is, Brexit – has not bitten the United Kingdom’s leg off yet, contrary to various calamitous predictions. The country’s vital parts are still in place. The British people have, albeit by a small majority, chosen to leave the European Union, not Europe. The United Kingdom is still there, and its allies will remain its allies because despite all the appeals to base emotion, all the cant and exaggeration, nothing happened to change the determining facts of geography, geopolitics and a well of common culture. Already Britons’ spirits are starting to recover. Does America Really Need to Spend More on Defense? There is little consensus about the details of President Barack Obama’s fiscal year 2017 defense budget request, and there are few challenges of the underlying assumptions upon which the request is built. Congress, pundits and thought leaders argue over the makeup of the request and question whether the U.S. Department of Defense should fund a strategy of posture or presence, capability or capacity, readiness or investment, nuclear or conventional. The debate has also questioned whether President Obama’s budget request is too small, or if it makes smart choices. For example, the Pentagon civilian leadership claims it needs at least $11 billion more in FY 2017 to execute the president's national security strategy. Eighty-four defense hawks in Congress seek a $50 billion increase in the base defense budget. The Heritage Foundation is calling for a $75 billion increase in the baseline, while the Rand Corporation wants to add $50 billion and the Brookings Institution seeks $30 billion to $40 billion more. Only Third Way seems happy with the size of the FY 2017 defense budget. Proponents of spending increases above the requested levels, from both the Pentagon and the U.S. foreign-policy establishment, generally criticize the budget based on two major premises. First, they claim the defense budget does not provide enough funding to support the United States’ current military strategy for dealing with today’s threats. Second, to deal with the threats facing the country, they argue that the defense budget does not receive an appropriate portion of the U.S. economy or the total federal budget. In 1920 Walter Lippmann and Charles Merz wrote a forty-two-page supplement for the New Republic magazine called, “A Test of the News.” They scrutinized Western media coverage of the Bolshevik revolution and aftermath. They noted that various newspapers had concluded over ninety times that the Bolshevik regime was going to collapse. Their conclusion was damning: "The news about Russia is a case of seeing not what was, but what men wished to see. The chief censor and the chief propagandist were hope and fear in the minds of reporters and editors." It’s a verdict that is worth recalling as overheated coverage of American and Russia is proliferating. Consider a recent article on the CNN web site, which was entitled “Russia continues to shadow Trump.” In it, the CNN correspondent Nicole Gaouette pointed to criticism of Donald Trump’s statements about Russia. There can be no doubting that Trump has created a furor with his comments about possibly lifting sanctions imposed over Russia’s takeover of Crimea and his favorable comments about Russian president Vladimir Putin. Gaouette quoted a number of critics, including former deputy assistant secretary of defense Evelyn Farkas and American Foreign Policy Council senior fellow Stephen Blank. What Gaouette did not do was to cite any experts who might take a somewhat different view of whether or not America should seek to improve its relations with Moscow. Prominent experts that might have offered a different perspective include everyone from former ambassador to Moscow Jack Matlock to Harvard University’s Graham Allison. Nor did Gaouette provide a broader political context, which is that the Obama administration is reaching out to Moscow, in the form of Secretary of State John Kerry’s efforts to work jointly with Russia in Syria. Unfortunately, Indonesia has been here before. Despite international protests, Indonesian President Joko “Jokowi” Widodo pressed ahead with four executions over the weekend, in a macabre state-sanctioned ritual that began with a lick of paint and a declaration that it would all be over by Sunday. One local, Fredi Budiman, and three Nigerians, Seck Osmane, Michael Titus Igweh, and Humphrey Jefferson Ejike, were tied to a white stake, blindfolded, and shot by firing squad in the early hours of Friday morning after appeals for clemency were rejected. All four were drug dealers and put to death after an extensive campaign aimed at convincing the public – and Jakarta’s critics abroad – that drugs are a major problem and largely driven by international cartels, and this justifies capital punishment. Another 10 prisoners were given a last minute reprieve, for reasons yet to be explained, and as the clock ticked passed Sunday realized their date with the firing squad had at least been postponed. 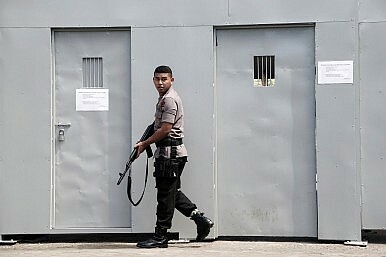 Talk of firing squads first rose in April after word had passed that 14 death row inmates would be executed as preparations began that included a new paint job for the penal facilities at Nusakambangan, where prisoners spend their final 72 hours. American trained and armed, but often disappointed by Washington and dissatisfied, this brigade finds Russian offers of support enticing. The Russian government is trying to poach Syrian rebels trained and equipped by the United States for the war against ISIS, according to the political leader of a prominent Pentagon-backed brigade in Aleppo — and the rebels are strongly considering Russia’s offer. In an exclusive interview with The Daily Beast, Mustafa Sejry of the Liwa al-Mu’tasim Brigade said that he met personally with a representative of Moscow at the Syrian-Turkish border 10 days ago and was offered “unlimited amounts of weaponry and close air support” to fight both ISIS and Jabhat Fatah al-Sham, the rebranded al-Qaeda affiliate in Syria, in exchange for the Mu’tasim Brigade’s transfer of loyalties from Washington to Moscow. Sejry clearly wants to use the offer to leverage more and better support from the Americans if he can, but that may not be forthcoming. (The Pentagon and U.S. Central Command did not respond to requests for comment from The Daily Beast.) And the Russians, meanwhile, are whispering a lot of sweet nothings in the rebels’ ears. GOLAN HEIGHTS — Signs of war are clearly evident when peering into Syria from the Israeli side of the Golan Heights: bombed-out villages, forests hastily chopped down for firewood, refugee encampments. But above all there is the desolation and quiet. One village sitting almost on the border line seems to be deserted, save for an incongruous shepherd and his flock and, eventually, one or two trucks moving in the distance. This is a change from previous years, when “war tourists,” Israeli and foreign, flocked to this frontier for front-row seats to the worst show on Earth: plumes of gray smoke from mortar shells, sounds of gunfire, multi-vehicle offensives by one Syrian rebel group or another. Especially at the start of the Syrian civil war, when such things were novel, Israeli military officers would sit at the Coffee Annan café on Mt. Bental, overlooking the vast Golan plain, and through binoculars observe what one officer termed “the laboratory of terror” below. The “experiments” in this laboratory sometimes crossed into the Israeli side, with rockets over villages, roadside bombs on the border fence, and small arms fire; several Israeli army personnel have been seriously injured and at least one civilian has been killed. Until a few errant mortars and an unidentified drone caused some excitement last month, however, the frontier with Israel appeared to have gone almost wholly quiet—despite the fact that the so-called Islamic State (ISIS) and the al-Qaeda affiliate Jabhat al-Nusra are known to be on the border.